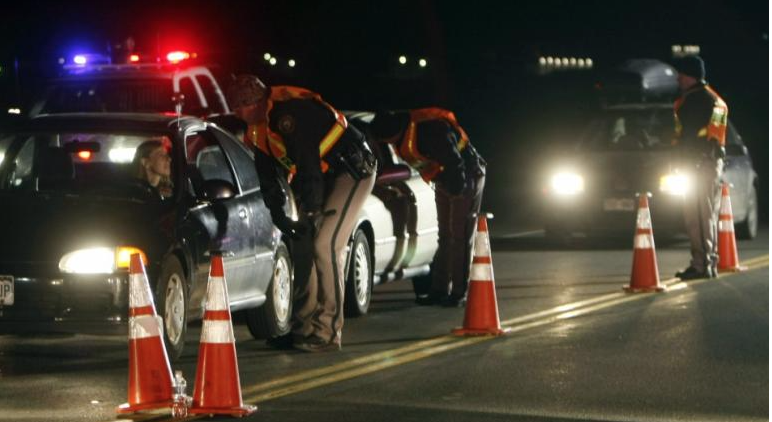 A DWI/DWAI roadblock is a checkpoint used by police officers to find and arrest drivers under the influence of alcohol and/or drugs. If an officer pulls over a vehicle and has reasonable suspicion that the driver is under the influence, he or she may ask the driver to step out and perform a series of field sobriety test and take a chemical test. If the driver fails the test, he or she may be arrested and charged with DWI. In order to be a legal and proper DWI/DWAI roadblock, the checkpoint must be part of an ongoing campaign to prevent drinking and driving. In addition, the law enforcement agency must select a location for a specific reason, such as a high number of driving under the influence accidents in the area and the location must be advertised heavily in an effort to deter people from driving under the influence. At the checkpoint there must be marked police cars and uniformed officers to make the police presence obvious. Furthermore, a method should be in place for checking cars (i.e., stopping every other vehicle or every fourth vehicle). If there is a deviation from the roadblock plan, such as poor weather or backed up traffic, the reason must be documented. Although the Fourth Amendment protects citizens against illegal search and seizure, the Supreme Court has ruled that the public interest in reducing driving under the influence accidents outweighs the intrusion of these rights. However, law enforcement agencies must follow guidelines established by the National Highway Traffic Safety Administration when conducting a DWI roadblock. If you have recently been arrested and charged with driving under the influence after a New York DWI/DWAI roadblock it is important that you hire an experienced DWI/DWAI attroney as soon as possible. At Astarita & Associates we have vast experience handling DWI/DWAI cases and have successfully defended clients from charges stemming from illegal and improper DWI/DWAI checkpoints. Our experience as defense attorneys, combined with our backgrunds as former prosecutors with the Suffolk County District Attorney's Office, allows us to particularly understand the prosecutorial process and anticipate the prosecution's strategies. As your DWI defense attorney we will vigorously investigate your case and work tirelessly to ensure that your case results in the best possible outcome.